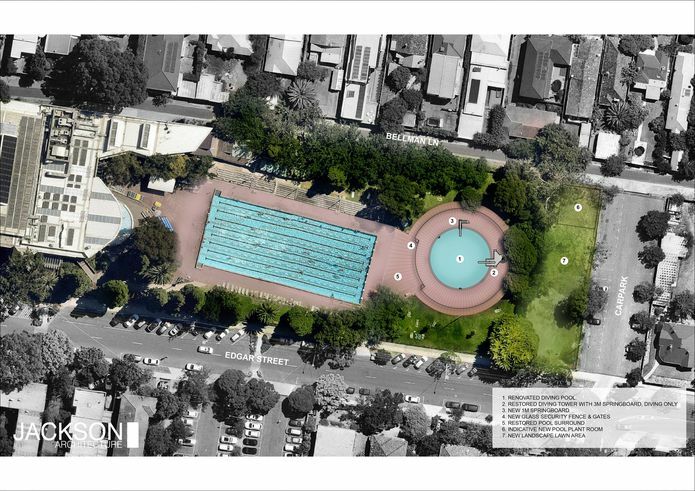 Jackson Architecture’s design concept for the renovation of a brutalist diving platform and pool at the Harold Holt Swim Centre. 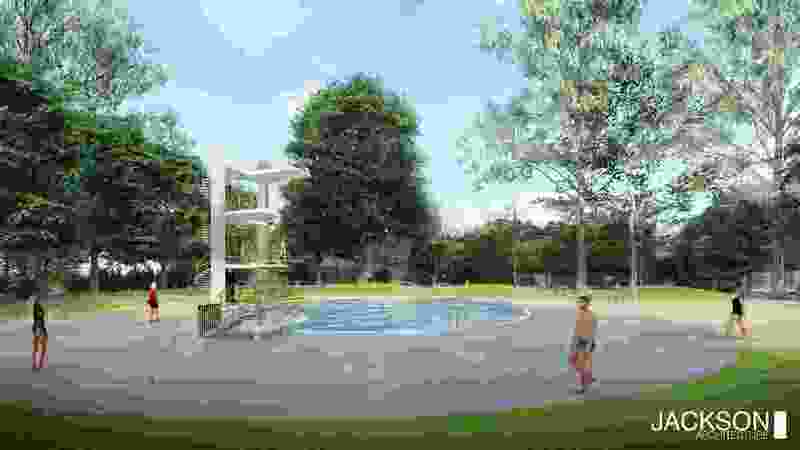 Jackson Architecture has been commissioned by the City of Stonnington to produce a number of design concepts for the renovation of a brutalist diving platform and pool at the Harold Holt Swim Centre, originally designed by Daryl Jackson and Kevin Borland in 1966. The diving platform has been closed since 2003. 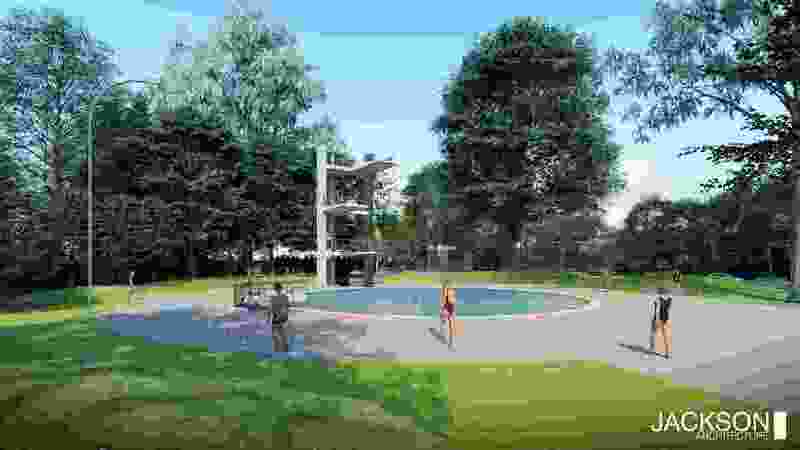 The main building included two pools that are useable year-round and an 50-metre Olympic pool outdoors in addition to the diving pool. Originally known as the Malvern Swimming Baths, the council renamed the centre during construction in memory of the former prime minister Harold Holt, who disappeared presumed drowned at Portsea in 1967. The centre was complete in 1969. Harold Holt Swim Centre dive platform and pool by Jackson Architecture. The council is seeking feedback on four options produced by Jackson Architecture, available to view online here, until 12 March. The renovation designs include works to make the platform and pool adhere to modern safety standards, including a new glass security fence and gates. 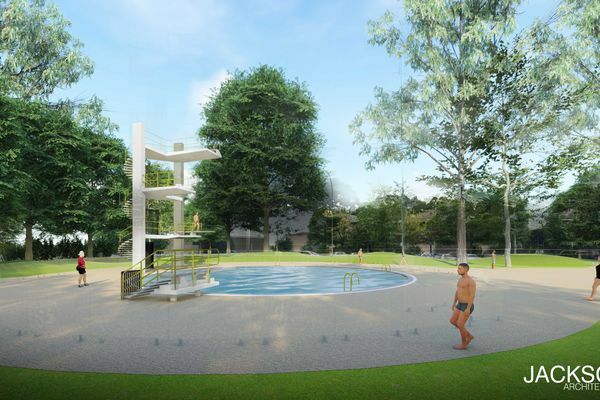 The project would also include the renovation of the diving pool and the restoration of the diving tower with a new one-metre springboard, as well as the restoration of the pool surroundings and a new landscaped lawn area to the east of the pool. Of the three platforms on the diving tower, only the three-metre platform would be reopened for use and accessed by a new spiral staircase. The 6.5 and 10-metre platforms would remained closed. The depth of the pool would also be reduced to 3.8 metres as part of its restoration. Feedback on the restoration proposal will be collated and used to inform a council decision on whether or not to proceed with the project later this year. The cost of the restoration as proposed would be approximately $4.5 million. The council is currently investing $3 million in a suite of improvement works to other facilities at the centre.